Years of rigorous experimentation and study—botched attempts and inspired solutions—have yielded the recipes and techniques found in these pages. 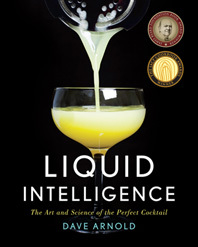 Featuring more than 120 recipes and nearly 450 color photographs, Liquid Intelligence begins with the simple—how ice forms and how to make crystal-clear cubes in your own freezer—and then progresses into advanced techniques like clarifying cloudy lime juice with enzymes, nitro-muddling fresh basil to prevent browning, and infusing vodka with coffee, orange, or peppercorns. Liquid Intelligence is about satisfying your curiosity and refining your technique, from red-hot pokers to the elegance of an old-fashioned. 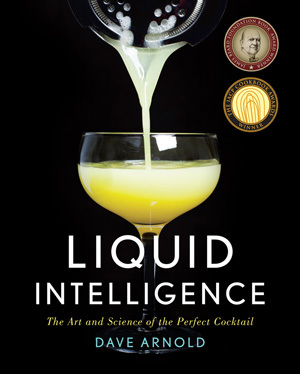 Whether you’re in search of astounding drinks or a one-of-a-kind journey into the next generation of cocktail making, Liquid Intelligence is the ultimate standard—one that no bartender or drink enthusiast should be without.